Depending on where you live, you might already be enjoying spring-like weather, or maybe you have several months of winter left to deal with. Here in northern Illinois, we have a couple months of cold weather left, but I’m still getting started on spring homesteading preps. 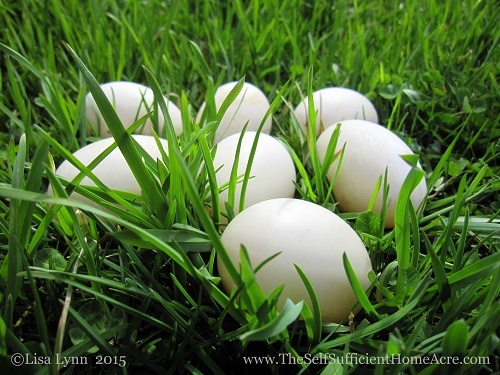 If you are working toward self sufficiency, rather than having an egg selling business, you should just keep enough productive hens to feed your family and maybe have a few extra eggs for sharing. The most difficult part of chicken keeping, for many homesteaders, is keeping a good rotation of new pullets coming into production as the older hens are going into a molt. 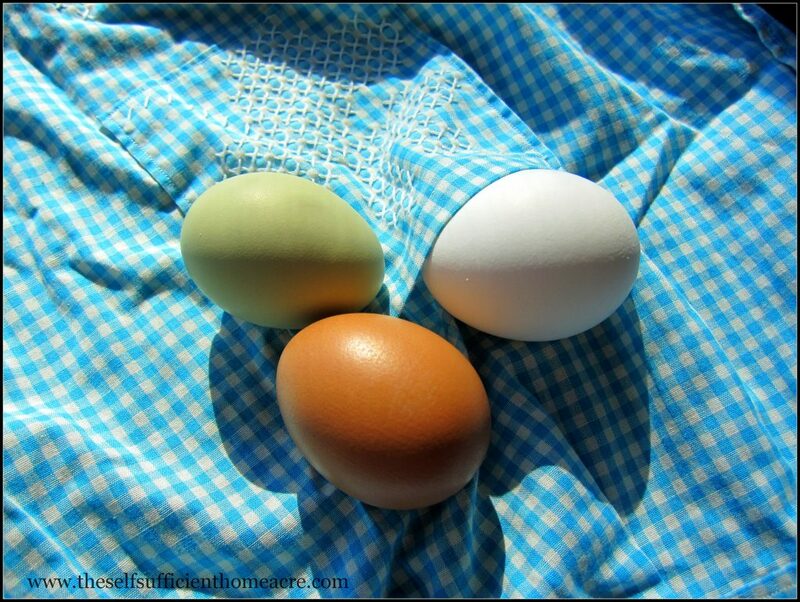 It takes around 5 to 6 months from hatch for most pullets to begin production. If the current layers are due to start their molt this fall, now is a good time to get a batch of eggs into an incubator, or place an order from a hatchery. My flock of laying hens are due to molt this fall, so I started a new hatch last week to replace the older hens in about 6 months. After candling the eggs yesterday, I counted 26 eggs with embryos. Hopefully most of those will hatch successfully. I expect somewhere around 50% pullets and 50% cockerels. Most of the cockerels will be butchered and I hope to have somewhere around a dozen pullets for the next generation of laying hens. It may be easier to order all pullets from a hatchery, but hatching costs less and also provides meat for our family. I won’t be planting seeds for a little while, but it’s time to get my seed starting area cleaned up and organized. The lights are ready to go and I have all the trays and potting mix necessary. I purchased all the seeds I need and I have a big stack of straw bales waiting to go down to the garden when the weather allows. This year I want to spread a thick layer of straw mulch over my garden to help keep the weeds under control. I also want to try this straw bale gardening I’ve heard so much about. Hopefully I will be able to report on the experience this summer. If you still need to order seeds, fruit trees, and other garden plants, plan to place your order soon to get the best selection. If you are planning to start your own garden transplants this year, this article has all the details for How to Start Seedlings Indoors. 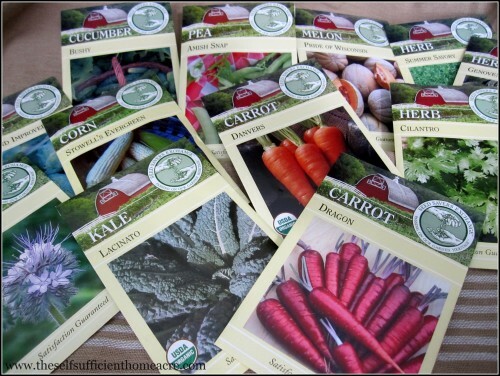 If you have a problem with buying too many seeds for your garden, you might enjoy reading 20 Warning Signs You’re a Seed Junkie. I’ve amassed quite a few home canned goodies over the years…I try to can and freeze more than I think we need, just in case. The result? 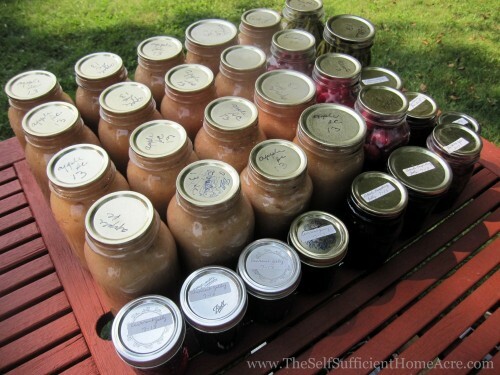 2 full freezers and oodles and oodles of canned green beans, chicken with broth, carrots, soup vegetables, peaches, plums, applesauce, jams, and spaghetti sauce (to name a few) in my canning pantry. This year I’m on a mission to use more of our canned and frozen goods. I hate to throw freezer burned fruits and veggies to the chickens in the spring to make room for this year’s bounty. That’s just crazy. So I’m cooking from our freezer and pantry every day. We still need things from the grocery store…I’m not as self sufficient as I’d like to be! But our meals are centered around what we already have on hand. It’s a good feeling! If you have the same issue, try this approach… use at least 1 item from the freezer or canned goods cupboard each day. Make notes about which fruits, veggies, soups, sauces, and meats you really like, and which ones your family doesn’t care for. If no one likes canned green beans, don’t bother canning any next summer. If you run out of spaghetti sauce, make a plan to grow more paste tomatoes this summer and process them for winter. Can and freeze the things you eat most! I like to take some time in the winter to plan ahead for the future of our homestead. If there is equipment needed to help make your homestead more productive, safer, or more efficient, now is a good time to start budgeting for those purchases. 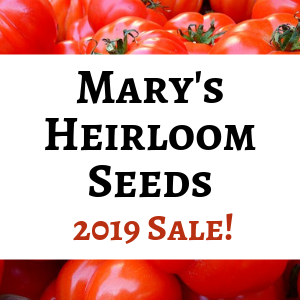 Some items that I have found to be well worth the money invested include: my pressure canner, extra canning jars, food dehydrator, 2 incubators, brooder box, heat lamps, my Mantis tiller, and various gardening tools. Now, I live on a small homestead and I’ve been adding these items over quite a few years. So the expense was fairly minimal. Your needs may be larger and more expensive. It can take a number of years to save up for a tractor, hay baler, cultivating equipment, barns, and the like. Take a hard look at your wants and your needs to determine if these items are actually necessary and if they will pay for themselves over the years, or are they likely to bust your budget and undermine your homesteading dreams? I find it helpful to keep a homesteading journal, where I write down my ideas and plans for the years ahead. If I find that a particular breed of chicken isn’t very productive, or I don’t like a new variety of tomato, I keep track of that information in my journal. When I make a mistake, I write it down in the hopes that I won’t make the same mistake again. 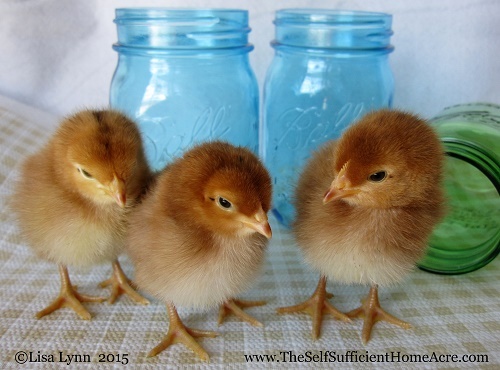 If you don’t keep a homesteading journal, consider starting one before spring arrives. You don’t have to write in it every day, but if you can jot down the important notes once a week you may find it helpful to be able to look back at your trials and tribulations over the years. 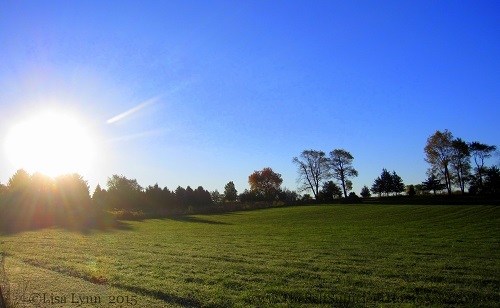 I’m looking forward to spring on my homestead, how about you?